Sara & Nima One in a Million from IFV on Vimeo. I just love this engagement video shoot by the fabulous Sara and Nima.......great idea documenting your engagement......very American, in this case Canadian from Toronto. Lovin the lashes......in fact I know a great girl here in Cyprus who does these fabulous lashes......more on her later.....in the meantime enjoy the mooooves from this very charismatic couple with music by NE-MO. Great to be back blogging after what was supposed to be just a weeks visit back to the UK......the visit was only a week but the backlogue of work since returning has been enormous! Just before I left for the UK we had a huge explosion here in Cyprus which destroyed our main power plant.....my Zucchini brides thankfully are all up to date on this problem which hassles us daily at the moment! I am keeping all my wedding couples posted on the power cut crisis on the Zucchini forum. Lets keep the blog for the happier things in life! Anyway onto those happier things........my UK visit was a huge success and where I didn't actually plan to buy a flat and take a lease on a boutique but that's exactly what happened.....how exciting!!!! I can't actually divulge too much about the shop at the moment due to the fact we are in the process of trying to sort out the lease. Needless to say Flora and Grace will have the perfect start in life from this very sweet premises in Clifton, Bristol and whats more I will be able to walk to work from my new flat.....scrummy. Planning for the shop must now begin quite seriously and whereas I do have a whole host of ideas and some suppliers I must get these on paper.....and this blog after all this is the Flora and Grace blog for the boutique so much of my planning and ideas will be aired on here for all to read......maybe you can let me know what you think as we progress? Well great to be back and posts will resume as the week goes on............yippeeeeee!!!! Just perfect!......If your looking for colour ideas then hop over to Chrissies blog The Perfect Palette she really does put some very unusual colours together that work beautifully. 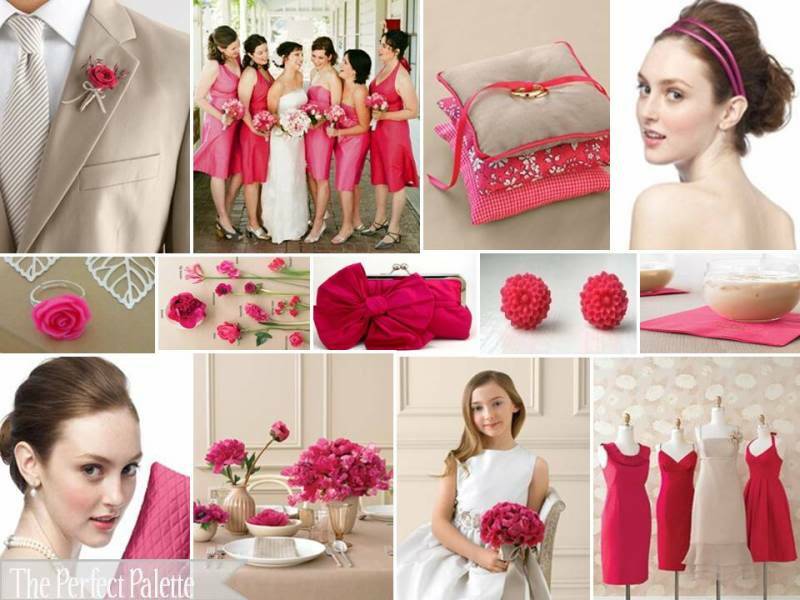 Its all done using inspiration boards (a bridal must remember)? How did The Perfect Palette come about? What started out as a hobby has really blossomed into more than I could have even imagined! I started this blog while planning my own wedding in hopes to put all my thoughts down on paper so to speak. As I went through the planning process I found myself sitting down in front of the computer for hours on end just in awe over all of the swoon-worthy photos that are floating around in the world of wedding blogs! I found myself saving photos and dreaming of ways that I could bring those photos to life in our wedding! In order to create a collective idea of what I wanted our wedding to be like, I began collaging my ideas together using various color palettes! Creating inspiration boards soon became an obsession of mine. I was making sometimes five to 10 a day! Once I had determined our 'perfect palette' I started offering to create inspiration boards for other brides-to-be just because I love to help other people! And then one day, someone asked me if I had a blog? At the time I did not...and so the Perfect Palette was born! Now, almost three years later, I still enjoy enabling a bride to see the full picture of her wedding day! I am so lucky to have you all as my readers and I hope that if you have a friend or family member getting married that you will recommend that they come check out my site! Colour is so very important to the overall scheme of your wedding day......it reflects your personality and the mood of the day. What I love about the Perfect Palette is the way Chrissy uses more than one colour to create her inspiration boards.......some colours I wouldn't actually think to put together........seriously she really does make you think about what colours look good together. If you go to the COLOURS index in the menu at the top of her blog you can search by colour.......Take a look I spent ages clicking through colours and choosing my favourites.........and heres one of them! Mark Niemierko.......you are a hard act to follow! Mr Niemierko you are a class act.....what a fabulous job and a beautiful video......if your thinking of having a dinner party maybe this gentleman can help you.......enjoy! NIEMIERKO EVENT: Private dinner at Claridge's, London from Niemierko on Vimeo. I have organised many very important dinner parties pre Zucchini days for Royalty, celebrities and other famous people from all over the world.......this video took me back to my previous life back in London although I have to say I didn't have quite as many staff working on just one private dinner party and maybe we didn't use quite as many orchids! So it is worth all the effort....thank you! It's a job we do like anybody else....we go about our daily business without really thinking about what we do....it's our job after all. As we come closer to the day when we finally close the doors at Zucchini emails like the one below.....which I received this morning really do make me stop and think MY GOD am I doing the right thing giving up this lovely business and all this hard work....after all look at the wonderful thanks we get........only time will tell. Thank you Mr and Mrs Meyer you've made the Zucchini team very happy and brought a lump to my throat thats the second time this week! Just a few words to say a heartfelt thank you for your contribution towards making their wedding day such a huge success. Your organization of the ceremony and execution of it was simply fantastic. The quality of the food was excellent and the venue and decoration of it, absolutely stunning. I cannot over emphasis how delighted we were in finding that the trust we had place in your services was so highly rewarded. It gave us much pleasure knowing our guests were enthralled, having travelled long distances, to find themselves in such splendid surroundings enjoying wonderful hospitality. Please also convey our appreciation to Karen, Rachel and Bernie for their endless patience, helpful advice and professionalism. From first contact and throughout, we can truly say that you and your team were magnificent. It was for Anni, James, Peter and I collectively, the greatest day of our lives to date and we all thank you for helping make it a wonderful occasion for everyone. 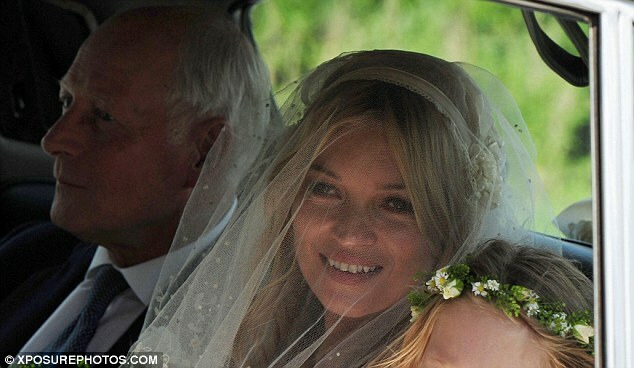 Kate Moss finally marries the ever cool Jamie Hince........super model, rock chick whatever the label you want to give her she did look beautiful in her 'au naturelle' John Galliano gown and Manolo Blahnik shoes with blue lined insoles as her 'something blue'.......very classy! 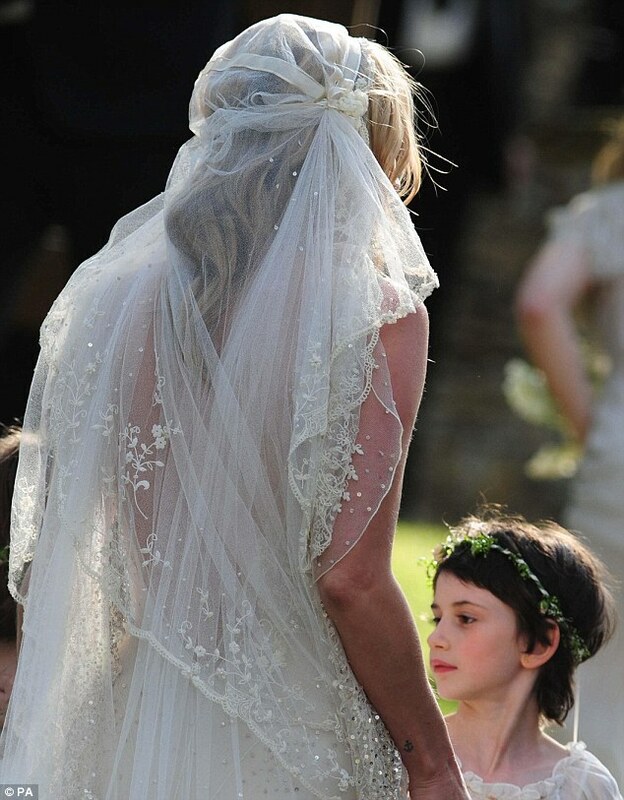 The veil was to die for......I just love veils.....a similar style of veil was recently worn by Lily Allen at her wedding......definately a NO FUSS look that more than likely took hours to perfect! The fourteen bridesmaids wore white chiffon dresses with a gypsy-neckline and matching ballet pumps. 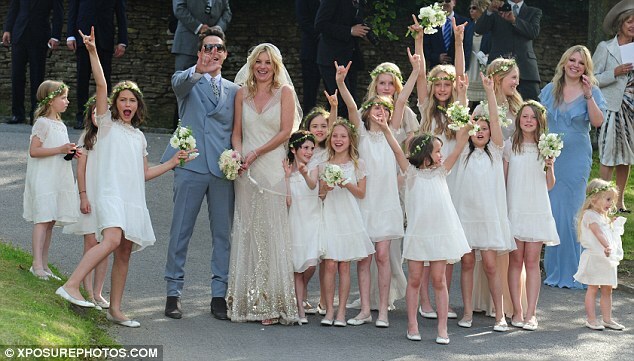 Kates maid-of-honour was her former casting agent Jess Hallett who wore a blue Stella McCartney creation. Ohhhh......to be a fly on the wall at this reception which was held in Kates 2 million pound mansion in Little Faringdon in Oxon. Six marquees were set up in the grounds of this beautiful cotswold mansion for this mini festival theme. Its rumoured each tent had a theme one being modelled on Londons famous Groucho Club......another on a bar in Jamaica......still partying until Sunday night I bet their having a ball. The food I'm sure was to die for and was provided by China Tang at the Dorchester and The Ritz in Paris. Sir David Tang is responsible for China Tang and his lifestyle brand 'Shanghai Tang' boutique in Sloane Street (as far as I can remember) great guy and someone I had the priviledge to look after many times at Asprey! I'm going to name drop again.......just because I CAN but two of the guests were people that I looked after back in London.......one being the gorgeous Jade Jagger and the Green Shields Stamp and retail guru Philip Green.......those are stories for another day but believe me when I say Miss Jagger knows how to party....as if Mrs Hince needs any help!!!!! As for Abby Clancy who married Peter Crouch the day before......what can I say you've either got it or you ain't.......I think the fabulous Kate Moss definately has it.......not so sure we saw the same class act from Miss Clancy....sorry!!! Thanks so much to Gillian and Alisdair for their very kind words.....brought tears to my eyes it did!!!! We celebrated our first wedding anniversay on the 28th June 2010. Cant believe its been a year. We still talk all the time about the amazing time you gave us on our wedding day. Honestly everything was absolutely perfect. All our freinds who were there thought it was the best wedding they had been to and they all still talk about how fantastic everything was. We just wanted to say a massive thank you to you all for the wonderful memories.